Gem Hotel Bull and Bronc Ride. 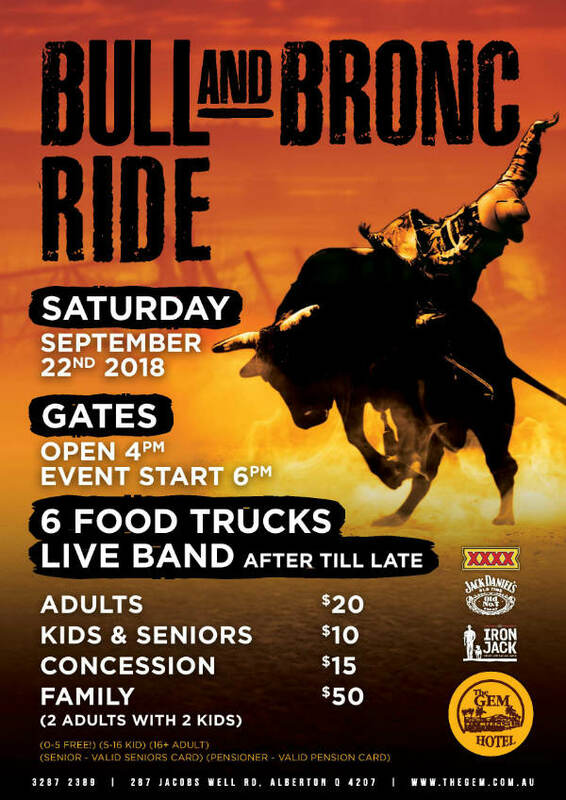 Gates open at 4.00pm and action starts at 6.00pm with LIVE Entertainment after bull and bronc ride till late. Food and bar operating from 4.00 pm till late!